You would hope that being sick enough to stay in the hospital overnight would be enough to get Medicare to pay their fair share. What’s fair in your eyes and in the eyes of Medicare, however, can be very different. With Medicare expected to run out of funds by 2030, earlier if the GOP manages to pass their proposed tax overhaul legislation, the program aims to cut costs wherever it can. It does this by offsetting certain costs to you. The following rules are important for you to understand, especially as they are based more on when things happen than on your health. Before the Two-Midnight Rule, hospital stays were based on medical need. Simply put, if you had a serious medical condition, you were admitted as an inpatient because the hospital was the most appropriate place to receive that care; i.e. tests and procedures could not be reasonably performed at a doctor’s office, an outpatient hospital department, in your home, or even in a skilled nursing facility. "A hospital stay starting at 11:59 PM on January 23 that goes to 12:01 AM on January 25 (24 hours, 1 minute) counts the same as one starting at 12:01 AM on January 23 and going to 12:01 AM January 25 (48 hours). Both stays span two midnights." Medicare arbitrarily based the rule on midnights rather than on the actual time a person spends in the hospital. This does not make it fair for beneficiaries, and for this reason, many people and even hospitals have taken action against the government in lawsuits. What It Costs You: When you are not admitted as an inpatient, you are placed under observation. An inpatient stay is billed to Medicare Part A, while an observation stay is billed to Medicare Part B. Part A charges you a single deductible for your entire stay, $1,340 in 2018, in addition to 20 percent of all doctor’s fees. Part B, however, charges you 20 percent for each service received, including doctor’s fees. Although the hospital is not allowed to charge you more than the annual Part A deductible amount for any single service, costs add up quickly. Generally speaking, an observation stay usually costs more than an inpatient admission of similar duration, even if you received the same exact services. 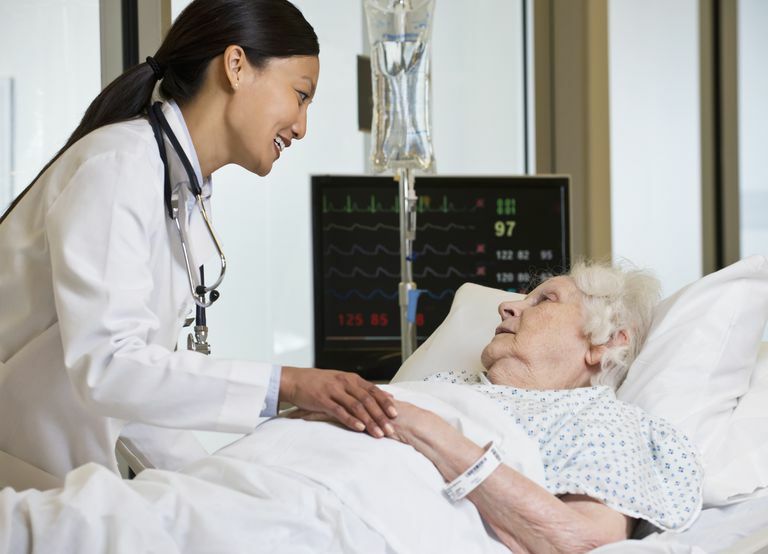 People may need skilled care after being hospitalized with a serious illness. They may no longer require the high level of care a hospital provides, but it may be physically unsafe to go home. They may need additional care, close monitoring, and frequent services, like physical and occupational therapy. A stay in a skilled nursing facility (SNF) or rehabilitation center may be appropriate in these cases. Qualifying for an inpatient admission, however, does not mean you necessarily qualify for rehabilitation care after your hospitalization. It all comes down to the SNF Three-Day Rule. If you were placed under observation on your first day, that day will not count towards your three-day requirement. Keep in mind that Medicare does not allow your doctor or the hospital to retroactively change orders. Even if your hospital stay is longer than two midnights, those days cannot be converted to inpatient status after the fact. This means you will need an even longer hospital stay to qualify for nursing home care. What It Costs You: If you meet the SNF Three-Day Rule, Medicare Part A will cover all costs for your skilled nursing facility stay for 20 days. You will pay a copayment of $167.50 per day in 2018 for days 21 to 100. After that, you are on your own. If you are not admitted as an inpatient for three consecutive days, however, all rehabilitation costs will be billed to you directly. In that case, neither Medicare Part A or Part B will cover these services. The rules change a bit when you have surgery. Certain procedures are on an inpatient-only list, meaning that the Centers for Medicare and Medicaid Services (CMS) recognizes the complexity of specific surgeries and automatically approves them for inpatient admission. The Two-Midnight Rule does not apply in this case. If you are included in the Medicare Shared Savings Program, you may qualify for a waiver to the SNF Three-Day Rule. Minus these exceptions, traditional Medicare (Part A and Part B) adheres to the Two-Midnight Rule and the Three-Day Inpatient Rule. Medicare Advantage (Part C) plans, on the other hand, can offer more flexibility. That can be a good and bad thing. The Good: A Medicare Advantage plan has the option to defer the SNF Three-Day Rule. Regardless of the length of your hospital stay, you may be able to access the rehabilitation care you need. The Bad: Medicare Advantage plans can opt out of surgeries on the inpatient-only list, meaning they do not have to approve them for inpatient coverage. They could bill them as outpatient procedures. That could lead to some surgeries costing you more in out of pocket costs. The Ugly: Generally speaking, Medicare Advantage plans follow the Two-Midnight Rule too. Timing is everything. Medicare limits how much Part A will pay by putting time restrictions on your care. The Two-Midnight Rule and the SNF Three-Day Rule tend to steer care towards Medicare Part B, where you usually pay more out of pocket for the same services. Unfortunately, you could find it harder to get the care you need at the price you deserve. United States District Court, District of Connecticut. Christina Alexander, et al., Plaintiffs, vs. Thomas E. Price, Secretary of Health and Human Services, Defendant. http://www.medicareadvocacy.org/wp-content/uploads/2017/08/Order-on-Class-Certification.pdf. Published July 31, 2017. Health Policy Brief: The Two-Midnight Rule. Health Affairs, January 22, 2015. http://www.healthaffairs.org/do/10.1377/hpb20150122.963736/full/. Centers for Medicare and Medicaid Services. Medicare Coverage of Skilled Nursing Facility Care. https://www.medicare.gov/Pubs/pdf/10153.pdf. Updated January 2015. Centers for Medicare and Medicaid Services.Skilled Nursing Facility Three-Day Rule Waiver. https://www.cms.gov/Medicare/Medicare-Fee-for-Service-Payment/sharedsavingsprogram/Downloads/SNF-Waiver-Guidance.pdf . Published August 2017.